Yoga, an ancient practice that is even more meaningful in today’s busy life style. Experience the gift of yoga, come join the flow! 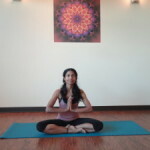 Namaste North is primarily a yoga center welcoming you to the practice of yoga. Located in downtown Anchorage, it is a place to find calm and renew your presence; away from the day to day stresses of life. It is an ideal place for busy professionals or anyone to practice yoga , reconnect and feel rejuvenated.